As a commentator, I pride myself on almost never taking advantage of the low hanging fruit. I try never to write a column unless my take on the subject is likely to be one which will not be overwhelmingly voiced by others more prominent than me. 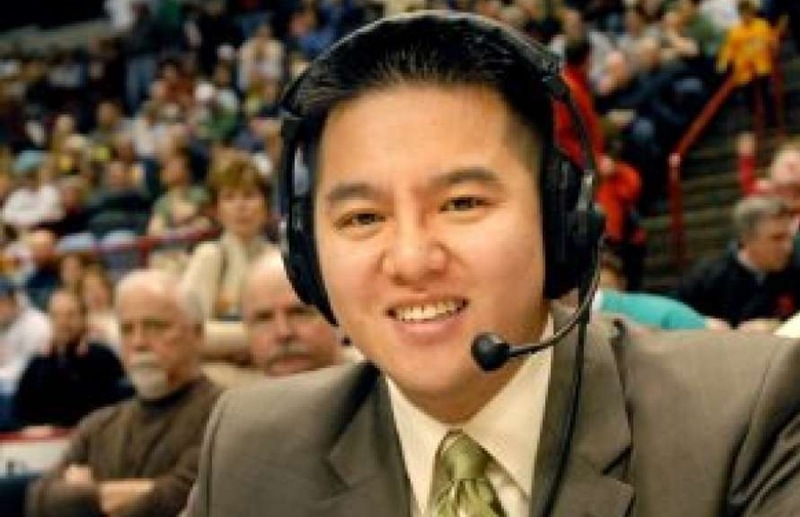 I must make an exception, however, with the utterly bizarre and hyper-politically correct decision by ESPN to move an announcer off of a University of Virginia football game simply because his name is Robert Lee. Even though the negative reaction to this obvious absurdity has been extreme and universal, I think that there are some things about this situation which are still in need of being said. First though, the elements of this which are self-evident: The concept that an Asian-American broadcaster named Robert Lee needed to be removed from a University of Virginia football telecast because there is currently a controversy in Charlottesville over a statue of General Robert E. Lee (no relation!) is an idea which is clearly very stupid and, frankly, extremely juvenile. In fact, while I immediately felt the story it was so crazy that it had to be true, many media-types on Twitter still couldn’t bring themselves to believe it was real, even well after it was clear that EPSN would have denied it if it had been a hoax, or an Onion post which somehow spun out of control. Of what, exactly, was ESPN afraid?! That some special snowflake among the handful of people watching a meaningless game against William & Mary on ESPN-7 (or whatever) would hear the name Robert Lee and somehow think that the ultra-liberal sports network was pro-Confederacy?! By this “standard” of fear of offending, it is difficult to imagine where this kind of foolishness could ever possibly end. I have long said that, when it comes to political correctness, we have left the gravitational pull of the rational earth, but based on this lunacy we are no longer even in the same solar system. Even ESPN’s statement confirming the story was delusionally out of touch. They wrote, “We regret that who calls play by play for a football game has become an issue.” But it was NOT an “issue” until THEY made it one! If this type of thing was an aberration I probably wouldn’t bother to write about it, but this call did not come out of nowhere. It is rather just the most blatant example of how ridiculously and overtly liberal/PC ESPN has become in recent years. After all, this is the network which had the audacity to give the woman formerly known as Bruce Jenner a major award for heroism because she decided, after sixty-five years, three wives, and six children, that she wanted to be known as woman (even though she was still, at that time, biologically a man). I personally have seen, up close, ESPN’s extremely politically correct (and, in my very strong view, inaccurate) stance on the “Penn State Scandal” and their incredibly biased crusade against Joe Paterno. More recently, they have basically been Colin Kaepernick’s PR firm during his career troubles allegedly caused by his National Anthem protest. And remember that huge story about the super-ritzy Brentwood home of Lebron James being allegedly vandalized with racist graffiti just before the NBA Finals (carried on ESPN!)? Gee, I wonder if the complete lack of follow up on what looks like it was likely a hoax has anything to do with ESPN being afraid of making a black superstar look bad while debunking a popular racism narrative? It shouldn’t be missed that this “Robert Lee” decision is similarly incredibly insulting to the public, and specifically to black people. Does ESPN really think so little of black people that they assume blacks can’t figure out that his name is just a totally harmless, semi-weird, coincidence? When it comes to political correctness, especially in the realm of race, ESPN is a classic example of what happens when you have a bunch of mostly white liberals, fearful of losing their precious jobs working for liberal Disney, running a network whose star performers (the athletes, not the announcers) are mostly black and liberal. There is never any downside to going overboard to prove how incredibly “woke” they are. The only real risk to them is if somehow they do something which could be seen as insensitive and it becomes a controversy. Ironically, this is exactly the type of extreme overreaction by liberals which I recently predicted would help President Trump survive his Charlottesville screw-ups. If an Asian named Robert Lee can’t even broadcast a Virginia football game, then it becomes much easier for at least semi-rational Americans to think that Trump’s warning about George Washington and Thomas Jefferson eventually being erased from our “approved” history was indeed dead-on. Of course, as an anti-Trump conservative, part of me is pissed off, not because Trump may be helped by this liberal nuttiness, but rather due to the fact that we were promised that having an anti-PC president would help end this sort of crap. Instead, with liberals now completely losing their minds as badly as “conservatives” have under Trump, it seems like things are actually getting even worse in this area. Hopefully something positive can somehow come of this silliness. Like if there suddenly became a public debate over a statue of an old racist named either Joe Buck or Phil Simms.